This model comes with more horsepower and higher pressure per square inch. 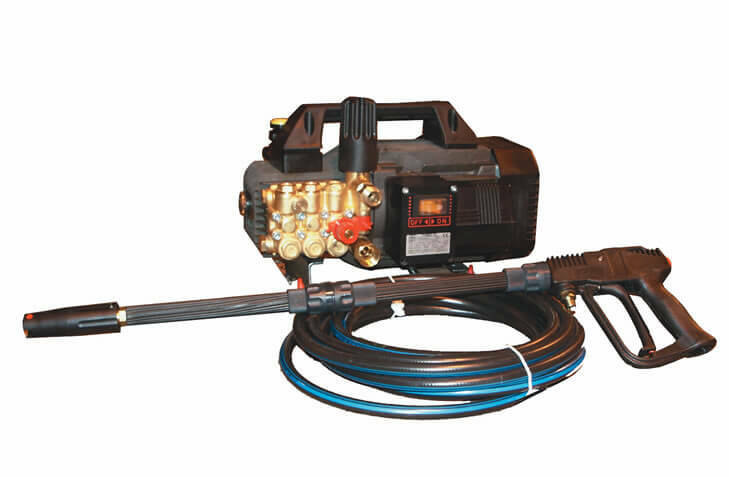 It is equipped with a mechanical thermal relief, adjustable pressure switch, trigger gun, 35" two piece wand, non-marking water hose and zero to sixty pattern tip for chemical injection. It is very practical for cleaning small surfaces including washing the patio, car or a truck, barbeque, driveway, and pool area. This dynamic unit can handle water temperatures of up to 140° F.